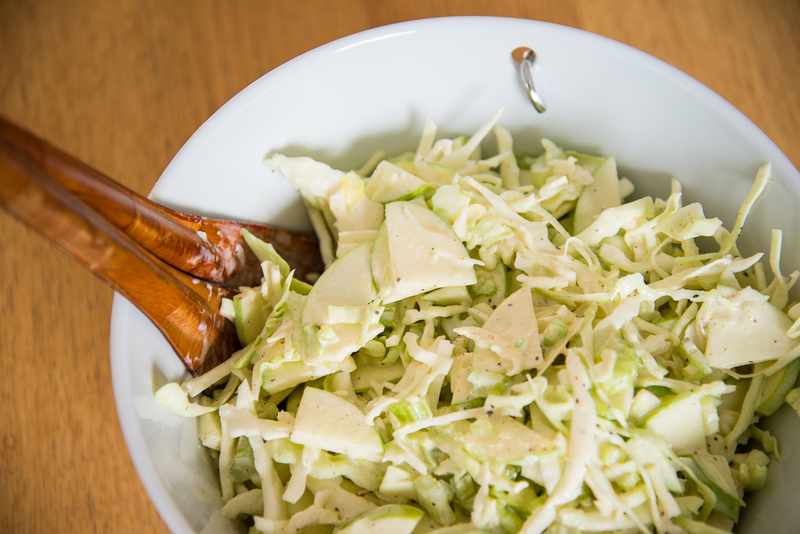 This slaw is perfect for baby back ribs, pulled pork, smoked bratwurst and other pork dishes (it is perfect with some pork chops!). The Granny Smith apples make it fresh and crisp, perfect for a warm summer day (just don’t leave it out of the fridge too long). Find yourself a large salad bowl, and pour in the cream, vinegar, mustard, celery seed, cayenne, sugar and some salt & pepper. Whisk it all together. If you’re using regular sugar, make sure you whisk until it is all dissolved. 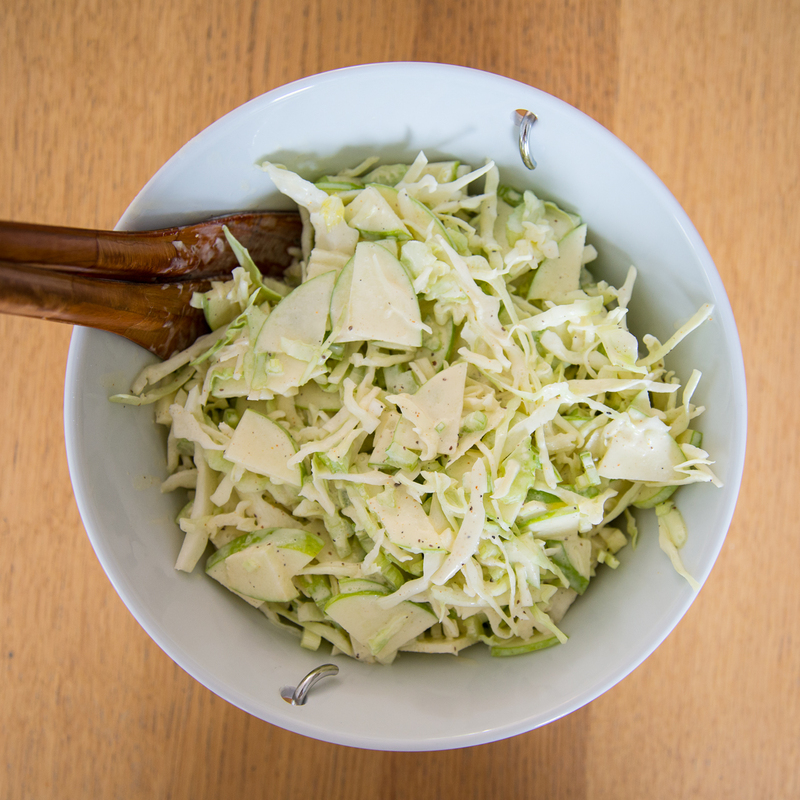 Chop your cabbage in thin slices, the apples can be sliced or diced depending on how much texture you want from them. Finely chop the celery stalks. Toss it properly, and ideally leave to sit in the fridge for a couple hours before serving, this really lets the flavors develop. Mix well. Enjoy!